The handsome plush Vino living room collection sets the bar for comfort and style. 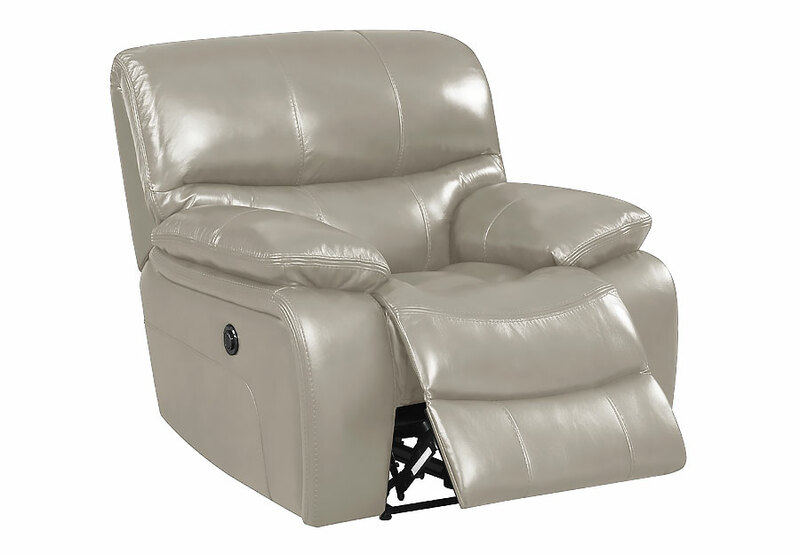 Its pillow-back design and foam filled bucket-seat cushions provide a cozy feel while power motion reclining offers effortless lounging. Transitional in design, this collection easily fits a variety of styles and décor. This collection creates a stylish oasis in your very own living room.